New TAP by Todd Pownell jewelry is available online with a new collection that is easy and dainty, while remaining true to their beautiful style. 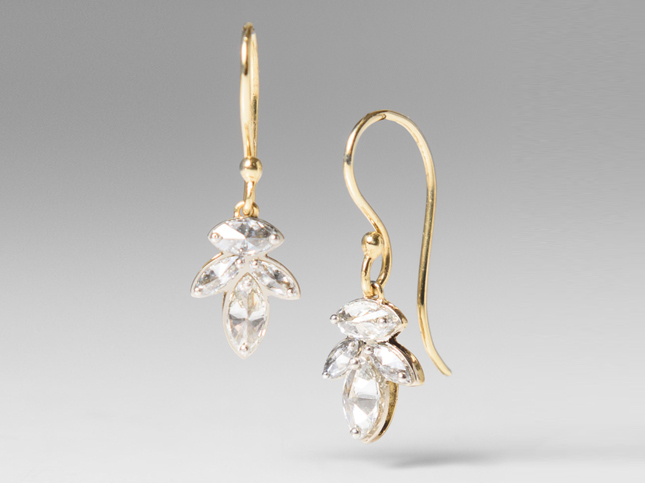 Using noble metals such as palladium, gold, and silver, Todd Pownell plays with light by setting and grouping inverted diamonds into small clusters. The look allows the diamonds to twinkle in a unique and unexpected way. The shapes created are often asymmetrical, textured, and a little rough or raw. This then gives the elegant materials of diamond and gold an edgy and experimental aesthetic. In a softer form, the new collection has the distinct TAP style in small, intricate clusters of twinkling diamonds. and in-store at Santa Fe Dry Goods in Santa Fe, New Mexico.